Multifunction bike biodegradable grease from vegetable source suitable for lubricating all parts of the bicycle. It promotes low environmental impact, ensuring excellent stability, anti-oxidation and corrosion properties. cod. 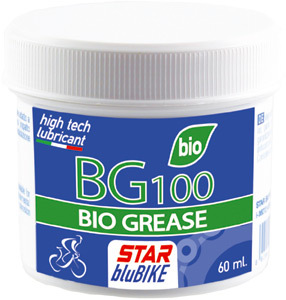 20046 BG100 BIO GREASE 60 ml.